Martin Luther died in 1546. He had spent his life defending the Scriptures, speaking boldly for justification by grace, through faith, for the sake of Christ. As a strong and powerful leader people looked to him for guidance during the battles for the faith. But he was now dead, and the infant Lutheran Church foundered for the want of a leader. Initially the church split into two groups, the Gnesio-Lutherans who claimed to adhere to the original teachings of Luther, and the Philippists who followed Melanchthon. 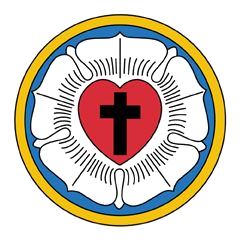 Because of pressures from both Rome and the Calvinists, the two groups of Lutherans tried repeatedly to come to agreement. Various controversies wreaked the church. What was commanded by God, and what was forbidden? What is the nature of the Lord’s Supper? What part does free will play in salvation? What do we teach about the person of Christ? These and other questions threatened to kill the church. A number of documents were written as the various theologians sought to reconcile the two sides. Finally, in 1577 the two groups were united with the adoption of the Formula of Concord, written by Martin Chemnitz. The Formula of Concord is divided into the “Epitome” and the “Solid Declaration.” The Epitome summarizes briefly the condemnations and beliefs of the Lutheran Church. The Solid Declaration provides much more detail. Martin Chemnitz, and the assembled theologians, firmly stated the only place from which a church can rightly draw doctrines. The opening of the Epitome sets the standards for this and all future documents. We believe, teach, and confess that the prophetic and apostolic writings of the Old and New Testaments are the only rule and norm according to which all doctrines and teachers alike must be judged. … Other writings of ancient and modern teachers, whatever their names, should not be put on par with Holy Scripture. Every single one of them should be subordinated to the Scriptures and should be received in no other way and not further than as witnesses to the fashion in which the doctrine of the prophets and apostles was preserved in post-apostolic times. As we accept the Formula of Concord, we, too, confess that Scripture is the only rule and norm of faith. Therefore all our teachings must conform to Scripture, be drawn from Scripture, and point us back to Scripture. Text of the Formula of Concord – Epitome and Formula of Concord – Solid Declaration in a new window.